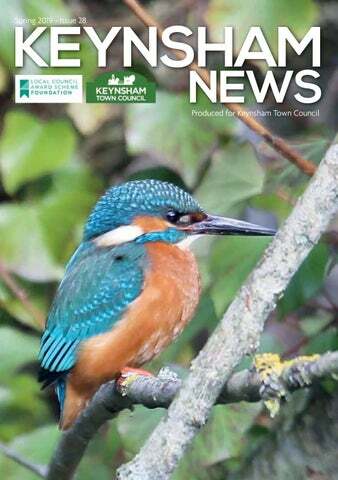 his is the last KTC newsletter before the next local election on Thursday 2 May. May I take this opportunity to record my thanks to fellow Councillors and staff who have helped make the last four years a period of real progress for Keynsham. Town Councillors are all volunteers who invariably contribute a great deal of their own time for the good of the community. They are supported by an excellent team of Council staff professionally led by our Town Clerk, and her able Deputy, in delivering a value for money service. We look forward to seeing you in The Space at our Annual Town Meeting on 25 April when we will be pleased to explore events in more detail and take any questions. This will be another exciting year in Keynsham. Our Music Festival, in the first week of July, and later in the year, our Winter Festival will be bigger and better than ever. The Bandstand in the Memorial Park is being prepared for the new season of excellent weekend concerts and planning is underway for a new season of gold standard Keynsham in Bloom. Our Business Forum continues to expand its partnership with the business community and further public meetings will be held on the train service and the proposed expansion of Bristol Airport. Our Neighbourhood Development Plan will also be completed this year; it will be a key document in the future of our town for many years to come. 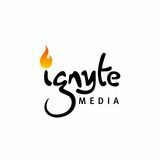 Keynsham News is produced by Ignyte Media Ltd, Unit G5, Second Avenue, Westfield Industrial Estate, Radstock, BA3 4BH Tel 01761 410141. While every care has been taken to ensure the data contained in this publication is accurate, neither the publisher nor its editorial contributors can accept, and hereby disclaim, any liability to any party for loss or damage caused by errors or omissions resulting from negligence, accident or any other cause. Ignyte or Keynsham Town Council does not officially endorse any advertising material included within this publication. All rights reserved. No part of this publication may be reproduced or stored in any retrieval system in any form without the prior permission of the publisher. t seems a long time ago since the original community event in April 2016 that started the Keynsham Neighbourhood Development Plan. This is by far one of the biggest projects the Town Council has undertaken - most importantly because the Plan must be formulated by the people who live and work in Keynsham, not the Town Council itself, if it is to be approved by the Inspector. Many people have already contributed their views by attending meetings of the 5 topic groups and/or completing the Residentsâ&#x20AC;&#x2122; survey as to how they want to see Keynsham develop in the face of such rapid housing expansion. Preserving its heritage and identity as a market town between Bristol and Bath is of particular importance. Transport infrastructure (or lack thereof), provision of community facilities and recreational spaces, and shop front design in the High Street are just some of the issues that are already being incorporated into the Plan. Perhaps you may have other concerns that you think should be included? As the NDP enters its third and final year, work is continuing on putting together the main document containing the planning policies that will influence the future development of Keynsham. Although Deb Cooper, the NDP Co-ordinator has now left the Council, she will be continuing to work on a voluntary basis helping the 5 Topic Groups complete the Planning Policies. Later in the year a series of workshops and forums will be held for all residents to have input into the emerging plan before a final draft is ready for consultation. Before this however, the NDP will be continuing throughout the spring and summer to seek your opinions with surveys on Recreational Spaces and Play Areas together with the survey specifically for Young People to have their say on how they want Keynsham to develop in future. If anyone would like to contribute to the NDP please contact Dawn Drury or Cheryl Scott on ndp@keynsham-tc.gov.uk or ring the Town Council offices on 0117 986 8683. Whether your need is immediate, or you wish to plan for the future, for a truly personal and caring service, call us day or night, 24 hours a day, 365 days a year... Perfect Choice pre-paid plans available. eynsham Town Council became the Burial Authority for Keynsham Cemetery in 1996 taking over from the former Wansdyke District Council. The Cemetery is situated in Bristol Road, Durley Hill, Keynsham and is a peaceful and attractive resting place to serve the residents of Keynsham. The Town Council aim to offer a sympathetic service to the bereaved and deal with enquiries from the public, funeral directors and monumental masons. on duty Monday to Thursday, 8.30 am â&#x20AC;&#x201C; 4.30 pm and 4pm on Fridays. The layout is designed to offer a range of interment choices, such as lawn plots, traditional (kerb) plots, coffin burials, caskets of ashes and scattering of ashes in the Garden of Remembrance. A new Memorial Garden was established in Spring 2015 which provides approximately 80 casket plots (2 caskets per plot) which is proving to be very popular with bereaved families. A polished black or dark grey desk tablet which can include a flower holder can be purchased from a Memorial Mason and placed on the plot. Annual safety testing of headstones takes place at the Cemetery in the spring and testing conforms to nationally agreed standards and is in line with the Faculty issued by the Chancellor of the Diocese of Bath and Wells. Newly erected memorials and existing headstones will be tested. The testing involves a visual inspection, followed by a trained member of staff standing at one side of the headstone and placing a hand on top of the stone, applying a firm (not severe) pressure to ensure the headstone is safe. Anyone who has any queries or concerns regarding the procedure, please contact the Town Council Office: 0117 9868683. We understand flooring is the centre piece of your home and it’s important to have the right choice, quality and style available. The Carpet Barn offers a comprehensive and professional fitting service. Our fitters are carefully vetted and have many years of experience. The Town Council is conducting a review of all play areas, with a view to developing a programme of refurbishment or replacement of the equipment, but cannot do this until it has heard from the children about what they want to see and where. The Town Council will be contacting all Keynsham children during the spring to ask them for their views. Primary school children will have their own special questionnaire on play areas, whilst all adults and senior school students will have a more substantial survey on all aspects of recreational space in Keynsham. Come along and meet the team at our Skate Park Community Event in Keynsham Memorial Park on Saturday 20th April from 10.00am to 4pm. Keep an eye out for more information about the event on the Town Council website and social media channels. t’s 50 years since the release of both the Beatles’ Abbey Road and that Keynsham record! Was 1969 a good year for music? Abbey Road will be performed live in its entirety, at The Space on Monday the 1st July, to open a week of music throughout the town. The performance by both professional and local musicians will give a real insight to what it might have been like had The Beatles ever played their album “live”. Tickets for this event will be on sale soon and will sell out quickly – keep your eyes on the Keynsham Tickets site, or the Festival Facebook page and website to ensure you get one. Gaetano Donizetti’s masterpiece, The Elixir of Love, will be performed in English, in Keynsham Memorial Park on Thursday 4th July. The comic love story of Nemorino and Adina is one of the most frequently performed and popular operas in the world. Tickets are already available, and with last year’s opera (the first full classical opera ever to be performed in Keynsham) being a complete sell out, make sure you obtain tickets soon. There is a concession for students and the Festival would love to see a good quota of younger people at the performance which is a rare chance to experience opera in an entirely accessible way for all. Full details of this year’s other very special Festival event should be available by the middle of March but do keep Wednesday 3rd July free in your diary! The Festival will once again be hosting Jazz in B Block down at the Chocolate Quarter. Following the success of last year’s ‘complete sell out’ evening, we’re looking at the possibility of having performances on two nights, which will showcase a whole range of Jazz styles. There will be a spread of music in various venues across the town every night of Festival Week, including The Ship Inn and Grounded. On the Friday, Grenville Jones will be hosting his Choir show in St. John’s Church and the Memorial Park will be the venue for what is becoming the annual Big Band Swing Dance, with authentic costumes to match. The Festival weekend looks like it’s going to be bigger than ever. We are very excited to be working with the Children’s World Charity to bring a new ‘Family Festival’ that will run alongside, the now well-established, Folk Festival Saturday: there will be world renowned entertainers and activities specifically designed for the whole family coming straight from the Glastonbury Festival Circus and Theatre areas. Additionally, there will be a team coming into the Park for demonstrations and displays of BMX skills and daring escapades to thrill everybody. All this against the backdrop of a full day’s musical programme, culminating in The Keynsham Orchestra performing their now mandatory evening concert in the Top Marquee on Saturday evening. With Keynsham’s reputation for hosting high quality music performance growing all the time, Festival Sunday promises to be packed full of music with four stages ranging from the hardest rock to dance – full line ups will be announced soon. COMEDY CLUB AT THE SPACE Keynsham’s Comedy Club has run now been running for over a year on a, roughly, monthly basis at The Space. The comedy nights have proved to be extremely popular, typically reaching almost full capacity, with a large proportion of the audience coming from out of town for a night of top-quality adult entertainment in Keynsham. The club is organised by comedian Andy Askins, himself a successful stand-up performer (see https://comedystoremanagement.com/agency/ andy-askins), and his wife Julie who is usually the compère. There are always three professional, stand-up comedians. Many having performed on mainstream TV shows such Live at the Apollo. The Comedy Club is helping to put Keynsham on the map, making the town a regular Friday night destination in what is perhaps an unexpected way. If you haven’t experienced live stand-up comedy before, now is the time to join many others and take advantage of these exciting evenings on in our town and see in person artists who may well become the next big thing. The next Comedy Club is on April 12th and features Rob Mullholland, Scott Bennett and Chris McCauseland (Live at the Apollo). Following dates are May 10th, July 5th, September 6th, October 4th, and November 1st. LOUISA BAKER & ETHAN JOHNS TO PERFORM IN KEYNSHAM FOR ‘RECORD STORE DAY’ National Record Store Day (April 13th) will be marked by a whole day of music on Temple Street, Keynsham. Keynsham singer/songwriter, Louisa Maria Baker, will perform a solo concert in The Space as part of a tour that will take her across the UK and Spain to promote her upcoming single ‘Reality’, which is released on March 1st. ‘Digame LouLou’ is Louisa’s new solo project, which launched in January with a guest appearance at the Music Expo UK in Bristol. Born and bred in Keynsham, she is best known for her role as lead vocalist and guitarist in the AngloAustralian rock trio ‘Tequila Mockingbyrd’ and can often be seen busking outside Lloyds pharmacy on Keynsham High Street. Louisa will be returning to The Space where she opened for Razorlight at their album launch during their UK tour in October of last year. LIKE A BROKEN RECORD As part of the National Record Store celebrations, Keynsham’s award-winning Longwell Records, are hoping to enter the Guinness Book of Records when musician Ethan Johns (son of esteemed record producer Glyn Johns) performs in-store. The gig in the Temple Street store will form part of a national bid to break the most public in-store appearances in one day! Do you care? •	Are	you	looking	for	a	new	and	rewarding	challenge? •	Are	you	able	to	work	alternate	weekends? •	Do	you	have	motorised	transport? •	Want	to	earn	an	hourly	rate	starting	at	£9.33	per	hr? If	you	can	answer	“YES”	to	all	of	the	above	then	we	would	love	to	hear	from	you! Due	to	increased	demand	we	wish	to	recruit	a	number	of	dedicated	individuals	to	care	for	the	vulnerable	elderly	in	the	community. No	experience	is	necessary	as	we	provide	a	full	and	comprehensive	training	programme,	along	with	continued	support	and	guidance	in	the	role. We	are	looking	for	friendly	and	caring	individuals	who	have	a	strong	work	ethic	to	provide	a	quality	service	to	those	with	the	most	need. You	will	be	required	to	hold	a	full	UK	driving	licence	and	have	access	to	motorised	transport. Pay	rates	starting	at	£9.33	(plus	weekend	enhancements)	Travel	time	paid	at	£9	per	hr. Mileage	at	40p	per	mile. DO YOU HAVE SOME TIME AVAILABLE TO VOLUNTEER? Let your hair down at our brand new Shipleys Bingo – grand opening Saturday 16th March or let the kids let off steam at Jungle Mania, our exciting indoor adventure play centre – coming this spring! Visit galleriesbristol.co.uk for more details. KEYNSHAM RESIDENTS YOUR VOICE MATTERS TO US Have you got the X Factor? Do you know someone who does? Do you have something to say? LOCAL ELECTIONS THURSDAY 2ND MAY 2019 Keynsham Town Council is actively involved in representing and supporting the local community in a wide variety of ways. Whether it is providing local facilities such as the play areas, Manor Road football pitches and the Cemetery, organising events such as the Winter Festival or making representation to the Authorities on Planning and Development proposals for our ever-expanding Town, the work of the Council is dependent upon two groups of people A) Its Elected Councillors B) YOU, the Keynsham Residents WHAT DOES THE TOWN COUNCIL DO? • Acts as a local democratic voice for all its residents • Works in partnership with other statutory and voluntary bodies, groups, agencies and individuals to meet the needs of the community • Conducts its business openly and democratically • Consults with the community on issues important to Keynsham HOW IS THAT OF RELEVANCE TO YOU? Every year Residents pay a proportion of their Council Tax to Keynsham Town Council to represent their views and provide services for the community. Although many things are decided by B&NES, the Town Council works in partnership with B&NES to ensure your views at community level are consulted and acted upon. After all, as people who actually live and work in the Town, you know your community best! Is there something that you feel strongly about that either isn’t happening at the moment in Keynsham or perhaps it is, but requires improvement? MAKE A CHANGE. BECOME A TOWN COUNCILLOR. Town Councillors are elected for a four-year term. On May 2nd this year, a whole new Council will be elected until May 2024. If you have an interest in improving your local community and helping others who live in the Town, why not consider standing for election? There are 15 Councillor vacancies spread evenly between the Town’s 3 Wards: Keynsham East, Keynsham South and Keynsham North. WHAT DOES A COUNCILLOR DO? The Councillor’s role and responsibilities include: • serving the community • representing local people • working with others including the Unitary Authority B&NES • talking to the community about what the Council is doing • preparing for and attending meetings • developing strategies and plans • making policy • decision making or reviewing decisions • representing the Council on other organisations If this sounds a bit daunting, don’t worry. An induction/training day has already been organised for all Members of the new Council that will take place after the elections on Saturday 11th May prior to the first Meeting of the Council on Tuesday 15th May. HOW MUCH TIME DOES IT TAKE UP? • There is a monthly Council meeting on Tuesday evenings at 7.30pm. • The Council also has several Committees that meet regularly including Winter Festival, Planning & Development, and Arts which Councillors can be appointed to if they wish. • There may be briefing sessions with B&NES on matters important to Keynsham and Councillors are also invited to attend local events. • Finally, there is the important part of communicating with individual residents on specific matters via phone, emails or face to face. a. Your name must appear on the Electoral Register for one of the 3 Keynsham Wards at the time of your nomination and throughout your term of office (4 years) should you be elected. b. You have occupied any land or other premises as owner or tenant in one of the 3 Keynsham Wards during 12 months before the day of your nomination and the day of election. c. Your main or only place of work (does not have to be paid employment) during the 12 months prior to the day of your nomination and the day of election has been in the Keynsham Ward area. d. You have lived in Keynsham Ward area or within three miles of it during 12 months before the day of your nomination and the day of election. You may be disqualified as a candidate if: • You are employed by Keynsham Town Council. • You have been declared bankrupt in the last five years and not repaid your debts. How much time you spend on your duties as a Councillor is entirely up to you and will depend on the particular commitments you wish to take on. • You have been convicted of a criminal offence and sentenced to at least three months imprisonment (including any suspended sentence) within the previous five years. • You are disqualified due to corrupt practices under the Representation of the People Act 1983 or the Audit Commission Act. You don’t need any educational qualification, nor do you need to be a member of a political party as you can stand as an Independent candidate. However, you do have to meet certain criteria as set out in s79 of the Local Government Act (1972). Organised a meeting between the Residents, Councillors and the Landlord resulting in immediate improvements. KEYNSHAM TOWN COUNCIL TO FUND CCTV TO ACCOMPANY SKATE PARK LIGHTING IN MEMORIAL PARK B&NES has now also agreed to install additional CCTV down at the Bandstand, which has been vandalised on more than one occasion over the past twelve months, including a bin fire which caused the current damage to the roof. This new development means that the Town Council was able to deploy the insurance money to repair the roof using the same material when a reinforced alternative, which would affect the acoustics, would have a significantly higher cost. eynsham Town Council has approved the installation of CCTV and extra lighting in Memorial Park. The decision comes following concern from local residents about the increase in anti-social behaviour incidents. The Town Council has agreed to use £14,500 of Community Infrastructure Levy funds (a tariff paid by developers that are building new homes in the town) to fund the installation of a CCTV camera by B&NES in the upper area of the park, to cover the multi-use sports courts, skate park, café and the lane leading to the park from the High Street. Some of the money will also go towards CCTV in the Queens Road/Tintagel area. The installation is subject to agreement by Bath & North East Somerset Council (B&NES) to include the new cameras in their live monitoring system which will cover the rest of the town’s CCTV network currently being installed. In conjunction with the new CCTV installation, the Town Council has also finally received approval from B&NES to install solar powered, smart lighting to illuminate the skate park after dark. Young people who use the facility have been campaigning for Skate Park lighting since 2012 and whilst there are some concerns that increased lighting may also increase anti-social behaviour in the area, the Town Council has received reassurances from young residents that they will self-police their activities in the area. The scheme will see three, 4m high, LED lamp columns installed, which will stay on between 3pm and 9pm and will power down to 30% when no movement is sensed. The smart, low-level lighting was chosen to reduce unnecessary light pollution in the area. Gregor Heating are a credit broker. Credit provided by Hitachi Personal Finance, a division of Hitachi Capital (UK) PLC, authorised and regulated by the Financial Conduct Authority. Gregor Heating, Unit 1, Willcock House, Warmley, Bristol, BS30 5LW. FRN 732800. Credit subject to status and credit check. *On selected Worcester Bosch boilers. Terms and conditions apply. how best to implement the policy and how it can work more widely with residents, community organisations, businesses and B&NES to contribute to making Keynsham a plastics-free Town. Organisations, Residents, Businesses, our own contractors and suppliers, B&NES and any other identified partners/stakeholders to encourage them to take practical steps to reduce the use of plastic and the production of plastic waste v. Require all Organisations requesting financial support from the Town Council to provide details of their own arrangements and policies to eliminate single use plastics in Keynsham vi. We will seek and encourage innovative recycling opportunities for plastic waste and the elimination of single-use plastics at Town Council sponsored events such as the Keynsham Music Festival and Keynsham Winter Festival vii. Support and encourage community initiatives to remove plastic waste and litter from Keynsham viii. Promote behaviours that reduce reliance on plastics, particularly encouraging the use of tap water over bottled water and the reduction of plastic packaging waste ix. Share information about plastic free initiatives, to residents, businesses, visitors and beyond through the Councilâ&#x20AC;&#x2122;s social media and communication channels x. Work to embed these commitments into events guidance, the sustainable procurement policy, and any other relevant council strategies, policies and plans. xi. Use government legislation that regulates against the use of single-use plastics to support our efforts where we can xii. Work in partnership with B&NES, our suppliers, the community and other relevant stakeholders to meet these policy objectives. Join us this Easter weekend as we celebrate the return to steam of the old Fry’s chocolate factory steam locomotive from Keynsham. FREE Fry’s chocolate for every child! 2 JUNE Jump onboard the Brick Express and ® try your hand at building with Lego Bricks as you travel the line. What will you be inspired to build? * Lego, the LEGO logo, the brick and knob configuration and the Minifigure are trademarks of the LEGO Group, which does not sponsor, authorise or endorse this event. WALKERS ARE WELCOME FESTIVAL PREVIEW The Keynsham Walking Festival will return for its 4th year at the end of April. Walkers are Welcome will be running seven walks over three days (26th – 28th April) that will cater to all tastes and abilities. The Festival programme includes a quiz night on the Saturday evening and will culminate with a picnic and children’s event to be held in Keynsham Memorial Park on the Sunday afternoon. 8.00pm St. Dunstan’s Church Hall. £4 to include a glass of wine and Cheddar ploughman’s. Raffle. You can purchase tickets from walk leaders on the day, or slightly discounted tickets will be available from the Town Council Office before the event. Woollard, Lords Wood, Marksbury Vale. Rest stop Compton Inn. Led by Dawn Drury. Keynsham & Saltford Local History Society. A general History of Keynsham Town Centre. Led by Dave Johnson. Chewton Keynsham, Burnett and Compton Dando. Led by Richard Dyson. To Hanham and Hanham Court alongside the River Avon. Leader to be confirmed. 1.30pm start in Keynsham Memorial Park. 2.00pm at the Bandstand to coincide with the Marshfield Brass Band concert at 3.00pm. WHAT’S ON MARCH 2nd - The Winter Green Man Ultra 30 from 11am. Leaving from the Brassmill. 7th - Keynsham Film Works presents The Levelling at the Space, Keynsham. Doors are 7.15pm for a 7.45pm start. £5. 9th - Keynsham Farmers’ Market, 9am – 1pm. 9th - Little Pickles Market, 10.30am - noon at Scout HQ off Ashton Way car park. A family market with nearly new tables for hire to sell baby/children’s items. Prams, maternity items, clothes, shoes, toys, books, highchairs and so much more. Come and see what bargains you can find! 9th - Supersonic Live in Club 22 at Keynsham and District Conservative Club, from 9pm. 17th - Bigger Pickles Market 10.30am - noon. Scout HQ, off Ashton Way car park, Keynsham. A family market with nearly new tables for hire to sell and buy children’s clothes, shoes, toys, gadgets and so much more. Come and see what bargains you can find! 23rd - The Soul Club at Club 22 from 9pm at The Old Conservative Club, 22 High St. Keynsham. 27th - Somerdale Souls, Josh’s Magic at Somerdale Pavilion 10am-12pm. For further information, please contact Barbara Thomson on 07884177684. APRIL 4th - Keynsham Film Works presents Loveless at the Space, Keynsham. 7.15pm for a 7.45pm start. £5. 13th - Keynsham Farmers’ Market 9am - 1pm. 6th - Rod’s Faces, A tribute to Rod Stewart and the Faces, Keynsham and District Conservative Club from 9pm. 16th - Keynsham Town Council Meeting, 7.30pm, please email townclerk@keynsham-tc.co.uk for an agenda and full details. 21st - Keynsham CC Beer and Cider Fest feat. The Mangledwurzles An all-day family-friendly bank holiday event with real ales and cider, top-notch catering and live Wurzels-flavoured, cider-fuelled Scrumpy & Western entertainment from The Mangledwurzels (www.mangledwurzels.co.uk). Tickets available from the clubhouse or online The Mangledwurzels will be on stage from 6pm. Keynsham Cricket Club. 24th - Somerdale Souls, Les Watts, singer. 10 am12pm at Somerdale Pavilion. Please contact Barbara Thomson on 07884177684 for more information. 19th - Town Council Meeting, 7.30pm. Please email townclerk@keynsham-tc.co.uk for an agenda and full details. 26th - Rock&Roll at the Somerdale Pavilion, join them for their Easter R&R party as they welcome back the Alligators. To buy tickets or for more information, please call reception on 01179 865787. 22nd - Rock & Roll at the Pavilion, back by popular demand, the keyboard maestro, Jon Clare and the Fabulous Doughboys play the hits of Jerry Lee Lewis, plus many more R&R greats. To buy tickets or for more information, please call reception on 01179 865787. 27th - Little Pickles Market, 10.30am - noon. Scout HQ, off Ashton Way car park, Keynsham. A family market with nearly new tables for hire to sell baby/ children’s items. Prams, maternity items, clothes, shoes, toys, books, highchairs and so much more. Come and see what bargains you can find! 28th - Marshfield Band in Concert, Keynsham Memorial Park, 3pm. 19th - Bath Spa Band in concert, Keynsham Memorial Park, 3pm. 26th - Congresbury Brass in concert, Keynsham Memorial Park, 2pm. 11th - Keynsham Farmers’ Market 9 am – 1pm. 29th - Somerdale Souls, Jewellery Making with Rose. Somerdale Pavilion, 10am-12pm, for more information, please contact Barbara Thomson on 07884177684. 12th - Dodington Parish Band in concert, Keynsham Memorial Park, 3pm. 30th - B&NES CCG Board in Public at Somerdale Pavilion, 1-3pm. 2nd - Keynsham Film Works presents Harold and Maud at the Space, Keynsham. 7.15pm for a 7.45pm start. £5. KEYNSHAM TOWN COUNCIL 2019/20 The following is a breakdown of how your weekly contribution of Â£1.76* is spent. FOR ALL PHONE ENQUIRIES * You will receive 20% off the cost of your order when your original enquiry is placed by calling us directly on 0117 2510043. THINGS TO DO MONDAY Key Voices Keynsham’s friendly community choir meet at St. Dunstan’s Church Hall, Bristol Road from 7.15pm to 9.30pm. Adults of all ages are welcome, no experience needed. For more information visit www. keyvoices.jimdo.com or call Karen on 01761472708. Free community play sessions are being held on Mondays in Downfield Park, Cleeve Grove, Keynsham between 3.30pm and 6pm. For more information, contact admin@wpg-play.com. ChoirJam pop choir 7.30 – 9pm at Somerdale Pavilion, Cross Rd, Keynsham BS31 2FW. Adults of all ages are welcome to join. A friendly bunch and there’s no audition or experience necessary – you just need to be enthusiastic and to love singing. To book a free taster session contact Emma Hutchinson 07793 983040, emma@choirjam.co.uk or visit www. choirjam.co.uk. Baby Massage at Keynsham Children’s centre. For more information please contact 01225 395400. Babies Group from 11.00am-12.30pm. For mums and dads with babies up to 18 months. Pregnant women and partners welcome at Keynsham Children’s Centre. Keynsham Elim Church Toddler group at 9.30am. Youth Group meets on a Monday night and is open to all young people in school year 8 and above. From 7pm to 9pm at St John’s Youth and Community Centre. Pregnancy Pilates with B Well Pilates. 6.50pm, Lansdown Hall, Wellsway School. Call Beth 07984582228. Public swimming at Keynsham Leisure Centre from 6.30am to 12pm and 1pm to 7pm. Pilates and Integral Health Yoga at Broadlands Academy, Keynsham. Pilates 6 - 6.45pm and Yoga 6.55 to 7.55pm. For information call 07789 880415. Beginners’ Pilates for back pain. Help relieve the agony of back pain by stretching and strengthening the back muscles and improving your core. Suitable for beginners and individuals with herniated discs. No previous experience needed. No sit ups, no crunches. Low impact gentle, exercise. Suitable for those with back injuries. Go at your own pace. 5.45pm - 6.45pm at Fear Hall, 30 High St, Keynsham, Bristol BS31 1DQ www.yogakeynsham.com Sandhya 07736 592363. Slimming World Queens Road Methodist Church 7.30 pm call Sharon 07401 948239. 11.15am on 2nd & 4th Tuesday of the month. Contact Keynsham Children’s Centre 01225 395400. ChoirJam pop choir meets on Tuesdays 7.30 – 9pm at the Fear Hall in the High St. Adults of all ages are welcome to join. A friendly bunch and there’s no audition or experience necessary – you just need to be enthusiastic and to love singing. To book a free taster session contact Emma Hutchinson 07793 983040, emma@choirjam.co.uk or visit www. choirjam.co.uk. Holy Communion at Keynsham Baptist Church every third Tuesday of the month at 7.30pm. Public swimming at Keynsham Leisure Centre from 6.30am to 8pm. Keynsham Walking Football Club 10 - 11am at Keynsham FC on 3G pitch for over 65’s. Just turn up and play. For more details contact Martin on 07754 543719 or martincoles@blueyonder.co.uk. Stay curious at Somerdale Shed, every Tuesday 6-9pm, a social club for interesting people who like to do interesting things. Join us in our community shed to make, mend, create, learn, inspire and be inspired in a wide range of shared activities. Somerdale Shed, Tiberious Road, Keynsham BS31 2FH. Mixed Ability Pilates with B Well Pilates, 7pm St John’s Hall, Keynsham. Call Beth 07984582228.
know more about your local community by exploring it through a camera lens in a friendly photography group? Experiment with digital photography. Learn to edit your images. Take part in walks and discussions in a friendly group. Share social history stories. Express yourself creatively. Wednesdays 11am - 1pm, at Community @ One, behind St. Johns Church, Keynsham. To book contact: Bath College Adult Community Learning: 01225 328822. Email: Rachel. biggs@bathcollege.ac.uk or The Wellbeing College 01225 831820 www.wellbeingcollegebanes.co.uk. THURSDAY Open Doors Community Café, 10am-12 noon St Francis Church. Mother and Toddler groups 10am St John’s Parish Church Hall. Music for the Mind at St Dunstan’s Church Hall 10.30am - 12pm for those with dementia diagnosis. Second and fourth Thursday of the month. Free admission, for more information contact 0117 9837923 or dementiafriendlykeynsham@gmail.com Open Access at TimeOut for +10 yearrs from 6.30pm to 10pm. Usual facilities of a Youth Centre, when Wi Fi is connected will have IT access via 4 PC’s to include animation facilities, Music Studio, Arts and Crafts, Movie Nights, Gaming area, Cooking. TimeOut building 16 Bath Hill. Contact 0117 9868 683 for more information. ASP Poetry Circle meet on the 3rd Thursday of every month at Meeting Room 1 or reception, Broadlands School, Keynsham from 7.30pm to 8.30 pm for more info, go to www.totallymaracas.btck.co.uk/ASPPoets Stay and Play (for 0-5 years) from 9.30 am to 11 am at Keynsham Children’s Centre. Keynsham Film Works meet on the first Thursday of every month (except in July and August) at The Community Space, Civic Centre, Market Walk, Keynsham at 7.45pm. Keynsham Elim Church Toddler group at 9.30am. Yoga class at Saltford Hall, Wedmore Road (some experience is beneficial) 6.15pm - 7.45pm call 01761 472616. FRIDAY Community at 67’s IT Café Friday mornings between 9-12 noon followed by a hot meal in Mandy’s Kitchen. If you need help with computers, join them every Friday at 67 Queens Road, Keynsham. Friendly volunteers are there to help with internet, emails, Skype and issues with software, laptops and iPads, 07737742300. Tea ‘n’ Tots meets 9.30-11.30 every Friday morning during term time in Keynsham Baptist Church hall. This is a free drop-in for babies, toddlers and their carers, with toys, craft, stories and singing. For more information contact the church on 0117 986 3112. Keynsham Town’s under 13’s football team train every Saturday between 10am and 12noon. Contact Darren on 07904 036483 for more information. Public swimming at Keynsham Leisure Centre from 8.00am to 2.45pm. Zumba exercise class at The River Suite from 8.55am - 9.45am. Pay and Play Badminton at Keynsham Sports Centre from 5pm to 7pm. Keynsham Table Tennis Club for over 14s, 6-9pm at Somerdale Pavilion. Members £3, non members £4. Mixed ability with equipment provided and four tables. More information on Facebook: KeynshamTTClub or Twitter: KeynshamTTC. Yoga Hatha at the River Suite from 11am for 60 mins. Parent Support Group from 9.30am-11.30am, Term Time Only Drop in group for parents/carers, get support, meet other parents and learn practical tips. A creche is available for 0-5 year olds. Places must be booked in advance, at Keynsham Children’s Centre. Inflatable play in the Swimming pool at Keynsham Leisure Centre from 3.45pm to 4.45pm. Public swimming at Keynsham Leisure Centre from 6.30am to 7pm. Zumba at the River Suite from 6.40pm every week for 50 minutes. Keynsham Walking Football Club 10 - 11am at Keynsham FC on 3G pitch. Just turn up and play. For more details contact Martin on 07754 543719 or martincoles@blueyonder.co.uk. Cook and Chill at Community at 67, a young people’s cooking evening, every Friday from 4.30 – 7pm, open to all young people aged 10+, 50p per session. Contact Carrie on 07399612358 or youthworker@ keynsham-tc.gov.uk for more details. SATURDAY Keynsham Farmers’ Market, second Saturday of every month, 9 am – 1pm. Mass at St Dunstan’s Catholic Church at 6pm. Avon Valley Car Boot Sale every Saturday, 7am selling, 8.30 am buying. Cars £8, vans, £10. Pixsash Lane, Keynsham. Yoga at The River Suite from 11am to 12pm. SUNDAY Mass at St Dunstan’s Catholic Church at 10.30am. Holy communion/morning prayer at St John the Baptist Church at 9.30am. Open door service St John the Baptist Church 11.15am. Holy Communion at Keynsham Baptist Church at 10.30am on the first Sunday of each month. Sunday morning service at Keynsham Methodist Church at 10am. (Monthly) Yoga for all the family with Sandhya – 2nd Sunday of the month, 10.30am at Fear Hall, 30 High St, Keynsham, Bristol BS31 1DQ www.yogakeynsham. com Sandhya 07736 592363 Keynsham Parish Players are looking for new members to join their happy band, both on and backstage. Rehearsals take place in the Parish Hall every Sunday afternoon and often during the week, to join call 0117 986 3354. Public swimming at Keynsham Leisure Centre from 8.00am to 11.30am and 12.30pm to 6pm. Aqua aerobics at Keynsham Leisure Centre from 7pm to 7.45pm. www.familymatters-uk.co.uk Have you also seen our magazine? Full of information, competitions, what's on and much more. Call us today if you would like a copy posted to your home address or look at them online. YOUR TOWN COUNCILLORS Keynsham Town Councillors are elected to help you. If you have any problems or want action taken on a local issue which concerns you contact one of your local Councillors below. No ifs, no buts – there’s nothing stopping you! You could buy your dream home at Bitton Mill today. Don’t let a deposit hold you back! With Help to Buy* all you need is a 5% deposit, 75% mortgage and the government could lend you the remaining 20% as an equity loan interest free for the first 5 years, which could make your mortgage more manageable. Help to Buy is not just for first time buyers, so you could move up to a larger home for less. Contact us today to find out more! lindenhomes.co.uk/bittonmill YOUR HOME MAY BE REPOSSESSED IF YOU DO NOT KEEP UP REPAYMENTS ON YOUR MORTGAGE OR OTHER DEBT SECURED ON IT. Credit is secured against your home. Photograph shows typical Linden homes at Bitton Mill. Interior may include optional upgrades or extras available at additional cost. *Subject to status, Help to Buy Terms & Conditions and available on selected properties in England only. Eligible applicants will be offered an equity loan up to a maximum of 20% of the purchase price (based on the open market value). Applicants are required to fund at least 80% of the purchase price by means of a conventional mortgage, savings/deposit where required. The equity loan is provided by the HCA and held as a second charge. This offer is not available in conjunction with any other promotion. Full details will be provided on request. Prices and details correct at time of going to press. Quarterly publication for Keynsham Town Council.